If you’ve set your sights on a professional career as a Chartered Accountant, then the Flying Start BA in Accounting & Business is for you. It can fast-track you into a career with PwC, a global and highly-prestigious professional services firm. PwC is one of the largest professional services firms and offers exciting career opportunities for graduates all over the world. PwC could offer you opportunities in a variety of service lines and the possibility of international travel and career mobility after graduation. You, if you are self-motivated and determined and have three good A Levels as well as GCSE Maths and English at Grade B (or 6). See 'Important Information' below. We offer academic support, personal support, careers advice and professional development, as well as full support for those facing the extra challenges of moving from other countries. The University of Reading's Disability Advisory Service (DAS) offers expert advice and guidance to prospective and current students. Work placements with PwC in years 2, 3 and 4 offer a competitive salary, as well as discounted fees. Additionally, Henley has a selection of bursaries and scholarships. Take a look at some of the frequently asked questions about this course here. The admissions process for BA Accounting and Business has additional application requirements which are outlined below. UCAS application – You need to meet the academic requirements, or tell us of any extenuating circumstances. Accounting and Business form – If you meet the initial requirements, you will be sent this form which must be completed in order to progress your application. You will also receive guidance on how to prepare for the assessment centre. Assessment centre – You need to show evidence of your motivation and aptitude for the course. Whole leadership – We need you to lead yourself and others by making a real difference in the work you do. This means delivering results in a responsible, authentic, resilient, inclusive and passionate way. Business Acumen – You’ll bring business knowledge and awareness, or have a willingness to learn about business, and can bring innovation, and fresh thinking to create distinctive value for PwC clients. Technical capabilities – In your role you apply a range of technical capabilities to deliver quality and value for our clients and PwC. Global Acumen – In a continually complex and changing world, you’ll need to operate and collaborate effectively, with a mind-set that transcends geographic and cultural boundaries. Relationships – You’re skilled at building relationships of high value which are genuine and rooted in trust. 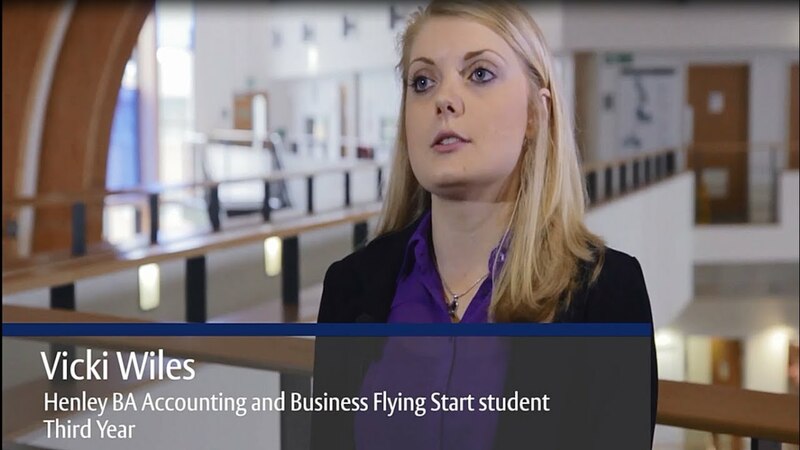 Successful applicants will be offered a place on the BA Accounting and Business degree programme. 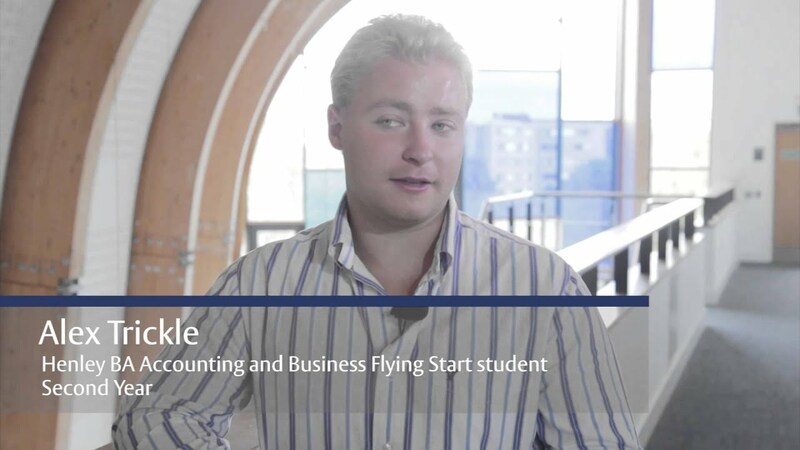 Applicants who are unsuccessful in applying to BA Accounting and Business but who meet Henley Business School's entry requirements - i.e are invited to the assessment centre - will be offered a place on one of our alternative Accounting degree programmes. If you have any questions, please contact us by email at ugaccounting@henley.ac.uk or by phone on +44 (0)118 378 4262. As a graduate from Henley Business School's BA Accounting and Business degree programme you will have completed 12 out of the 15 professional exams required to become an ICAEW Charted Accountant. In addition, the professional experience gained during your work placements with PwC will count towards more than half of the technical work experience days required as part of the ICAEW Chartered Accountant qualification. On completing the degree programme you will be approximately one year away from achieving full ICAEW Chartered Accountant status - putting you ahead of other graduates entering the accounting profession, and enabling you to excel and advance in your future career. There is no obligation for you to work at PwC after completing the BA Accounting and Business degree programme, though graduates who achieve a 2:1 and impress on their work placements are likely to be offered a permanent job with the firm. As a graduate from this degree programme, you can expect a competitive starting salary on account of the practical experience gained during the course of the programme - as well as your progress towards completion of the ICAEW Chartered Accountant qualification. The programme truly does offer a fast track to a graduate career in the professional services sector. Throughout your paid work placements with PwC, you’ll put the theory you’ve been learning in the classroom into practice in the office. If you impress while you’re there, and graduate with a 2:1 degree, PwC is likely to offer you a permanent job. And after you pass just three more ICAEW examinations, you could be a fully qualified Chartered Accountant roughly a year after graduating. In fact, wherever you take your career, your qualification will give you a serious competitive edge. Work placements take place at PwC in years 2, 3 and 4 of the BA Accounting and Business degree programme. In years 2 and 3, placements will take place approximately between mid-December and the end of March, and in year 4 you will undertake a slightly longer placement, running from approximately mid-November to the end of March. The placements are a compulsory part of the programme, and you will be assessed against PwC's performance appraisal criteria as well as the University's academic standards. The placements will be progressive, in that you will be expected to take on greater professional responsibility by your final year - and this will be reflected in your job grade and salary. Over the course of the three placements you can expect to earn a competitive salary, offsetting a significant proportion of your tuition fees. The expectation is that you will be based at the same PwC office for all three of your placements - enabling you to build a strong network of contacts and relationships with colleagues and clients. Much of your time while on placement will be spent visiting commercial clients. Should your work placement be based at an office not within reasonable commuting distance from Reading, PwC will cover the cost of your local accommodation. We always try to ensure that you are based in an office location with other placement students from Reading so that you are not left 'on your own'. Both PwC and Henley Business School will ensure that you are adequately prepared for, and appropriately supported during, your work placements. 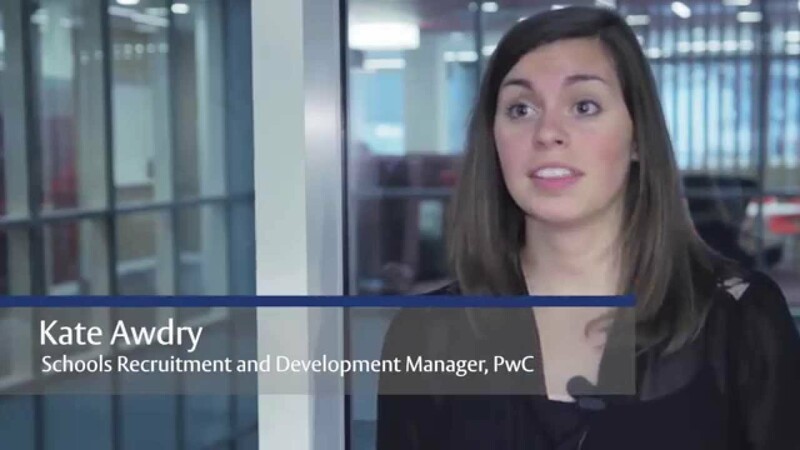 You will also have access to on-line learning resources and support, to help ensure that you don't completely lose touch with your academic studies while working at PwC. "When leaving school I felt that I did not want to miss out on the University experience, but I was also worried that if I went to University I may find it hard to gain employment at the end of my time due to the current economic climate. As such, applying for the Accounting and Business programme seemed to combine my wishes, as I could combine the experience of going to University with that of gaining valuable work experience and completing professional exams. This course meant that I did not have to repeat any exams after finishing my University degree course as some of the exams already count towards the ICAEW accreditation." "From about the age of 13 I knew I wanted to be an accountant and there was a PwC office not too far from where I live. I did my research and fell in love with the profession and company. 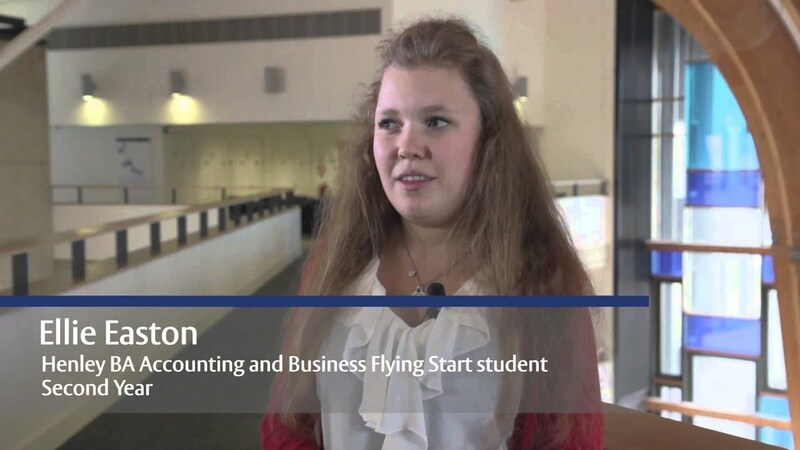 Once I came across the BA Accounting and Business programme at the University of Reading I knew it was the best opportunity. Now I’m here, it's a wonderful experience meeting people from all over the world who share similar dreams to you and are just as hard working. If you're a student out there and you want to be a chartered accountant, I believe this programme will fit you like a glove."